ABB offers a comprehensive range of reliable and high efficiency motors and generators for all applications. Elite Engineering manufactures highest quality D.C. catering to diverse industrial needs of variable speed drive applications. 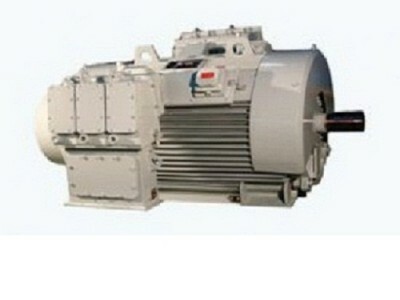 The company introduced a new range of fully laminated yoke motors. With more development and progress, more frames will be introduced in the range to cater to the market requirement. Textile machines, Plastic machines, Paper Industry, Aluminum Plants, Non Ferrous Industry, Cement industry, Sugar factories, milk and Food Processing, Automobile Industry, Steel mills, Offset Printing machines, Pharmaceutical Industry, Welding manipulators, Cranes, lifts and Hoists. Conforming to the standards IEC 34/BS 2613 or IS 4722. Excitation Type/Voltage : Shunt / 220U. Protection : IP 23, IP 44/54/55. Air inlet filter for IC 06 motors. Thermistor protection for field winding. Made from precisely punched steel laminations and pressed together in fixture to form a very rigid structure. The pressed pole stampings are similarly made in to poles and are located in the recesses provided. Armature laminations are made from low loss dynamo grade sheets, which are assembled on a high quality steel shaft. The winding is made from Super enameled copper and fully impregnated with insulating Varnish for long life. The armatures are dynamically balanced with precision using two plane balancing technique.